The speakers unanimously condemned the police high handedness in the world’s so called largest democracy and expressed their solidarity with the activists who have been fighting against the controversial Sterlite plant in Thoothukudi. They agreed that irrespective of the party line, most parliamentary parties in India, including the ruling BJP, the opposition Congress and even the CPI(M) have encouraged state repression and allowed the police to be used as mercenaries by the corporate houses. 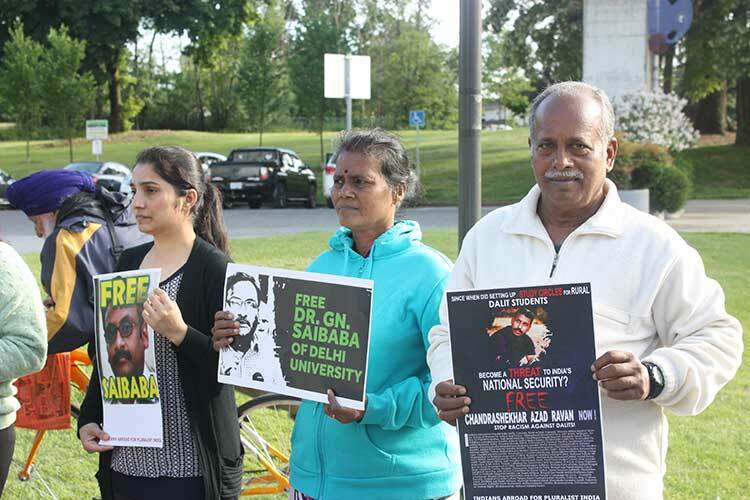 They also demanded the release of political prisoners, such as Prof. GN Saibaba and Chandershekhar Azad and the scrapping of draconian laws that are often used to suppress voice of dissent. 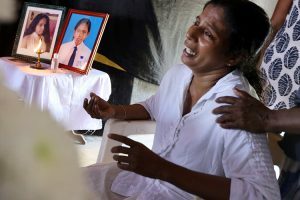 The ongoing practice of extra-judicial killings of political activists by the police also came under criticism. Kesar Singh Baghi, whose son was murdered by the Punjab police, was also in attendance. Among the speakers was visiting leftist activist from India Sardara Singh Mahil, who insisted that the present ruling classes of India are no different from the British rulers of the past as they continue to inherit their legacy of repression. 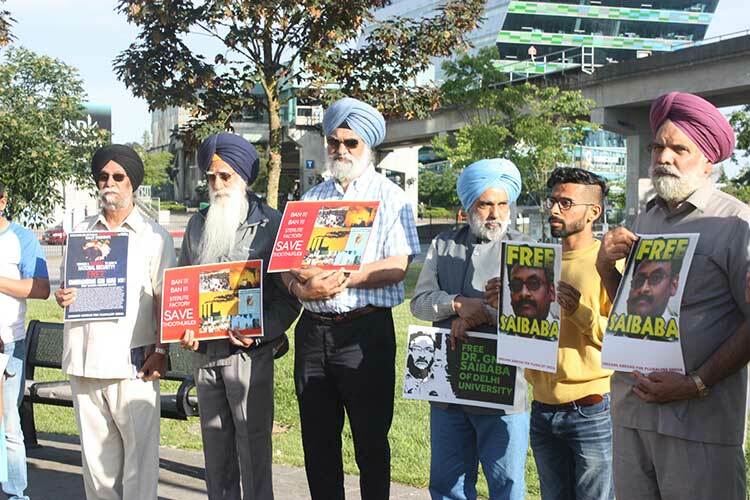 Others who spoke on the occasion were leftist activists Parminder Swaich of East Indian Defence Committee, Sucha Deepak, Sikh activists Gian Singh Gill and Kulwinder Singh, besides Avtar Gill of the Rationalist Society, and cofounder of Radical Desi Gurpreet Singh. Piara Singh Chahal recited revolutionary poems on the occasion. The participants also raised slogans against state violence and sought the release of all political prisoners. Others present at the event were Ganesha, Savitri and Kokila from Tamil Nadu and rationalist and Marxist activists Navtej Johal, Jagrup Dhaliwal and Sadhu Singh Jhorhraan, besides Komagata Maru Heritage Foundation leader Harbhajan Gill. 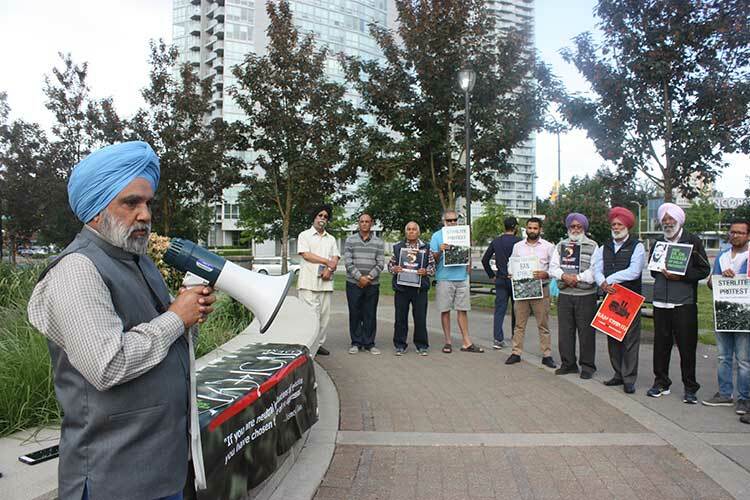 No local elected official showed up at the rally in spite of being invited, even though Surrey has a number of MPs and MLAs of Indian origin.